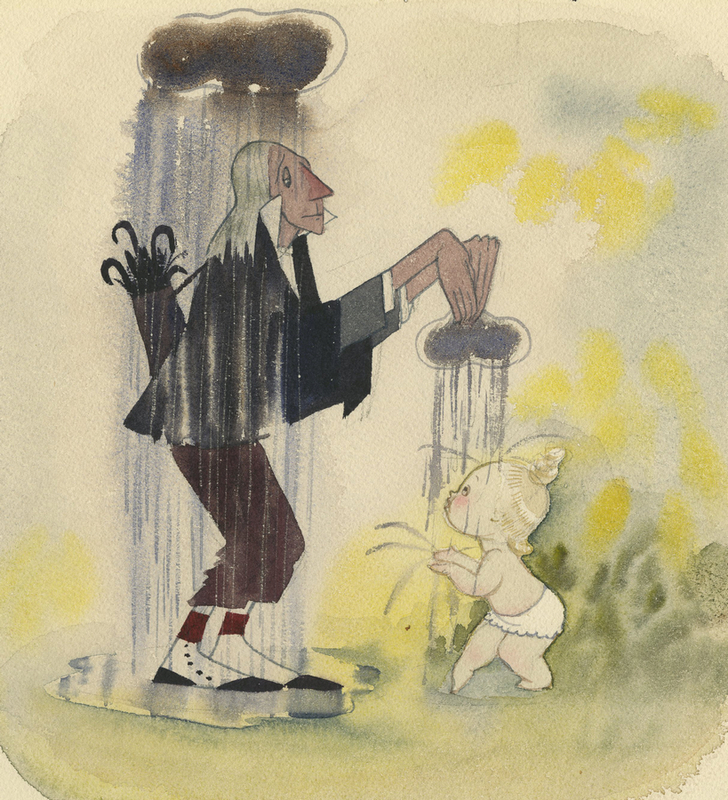 This is an original concept painting created for an unmade Walt Disney Studios animated film. This painting was created by revered Disney artist, Mary Blair, in the development of a story called Penelope and the Twelve Months. 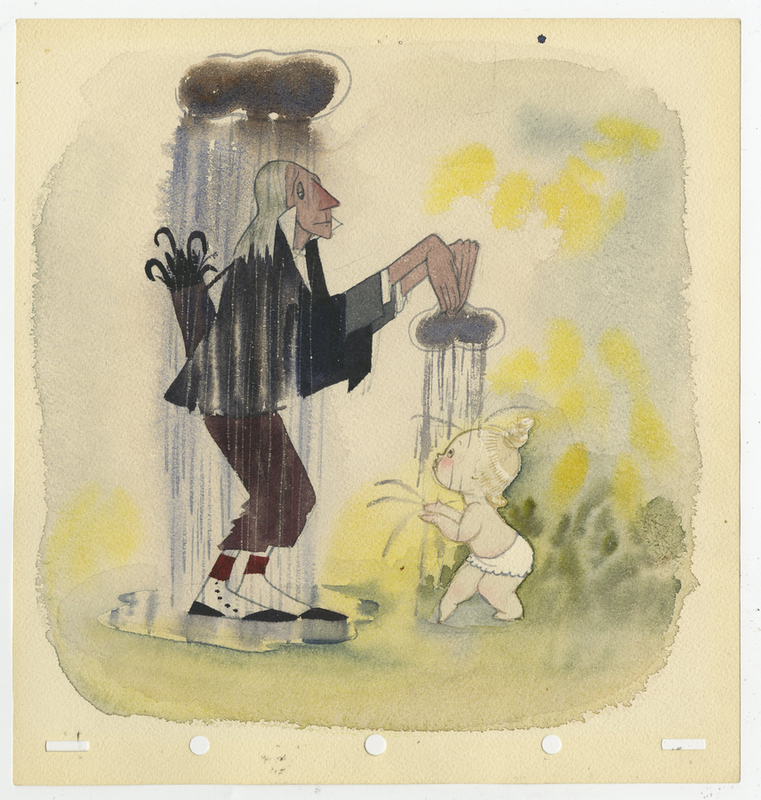 Blair was working on the project after WWII, so this early Mary Blair concept exhibits a style that crosses between her personal watercolors that she had been creating prior to her days at Disney with the concept style she became so known for creating. The film is discussed in the book, Disney that Never Was, with other examples of artwork created during the story's development. The overall piece measures 8.75" x 8.25" with the image measuring 7.5" x 7". This gorgeous watercolor concept is in excellent condition and is a beautiful example of Blair's artwork.